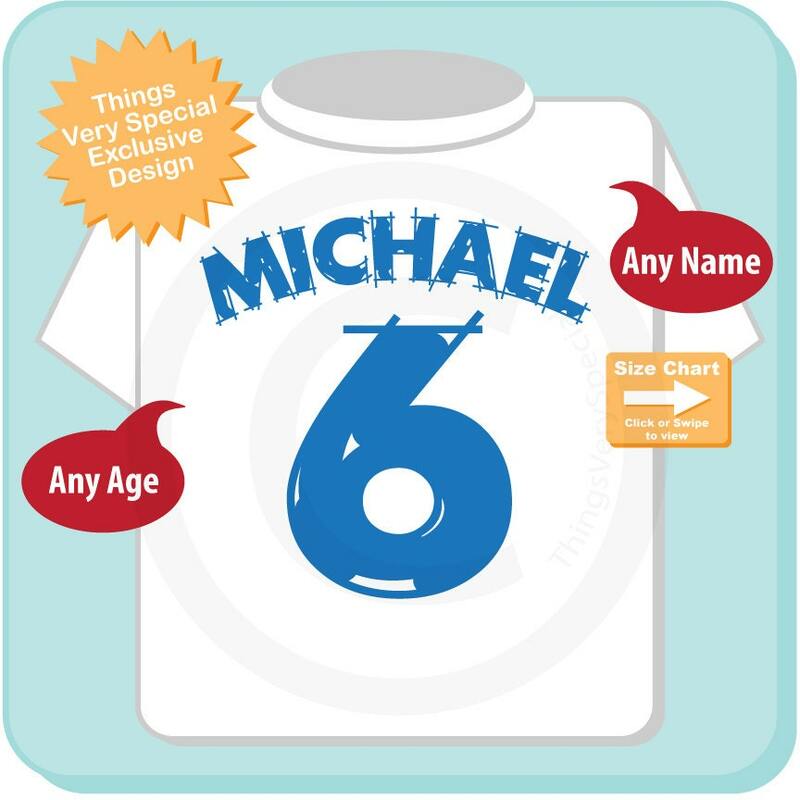 What's cuter than your child's name and age on a tee shirt? This awesome sketched style is unique and different than the collegiate styles you see out there. Done in a manly blue for the little boys and cute as can be.